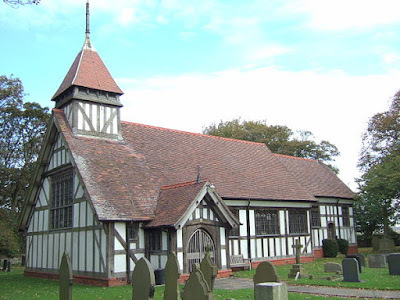 It was a pleasure to join the Chair of Little Altcar Parish Council, Cllr Anne Ibbs, for her civic service. We gathered at St Michael's and All Angels for evensong in the sunshine. This is a particularly impressive church building dating back only to C19th but the site has been a place of worship for centuries. I was much taken with the picture behind the altar ( a reredos in the jargon) which is a really stunning Arts and Crafts painting by Craven, Dunhill and Jackfield from cartoons by Heaton, Butler and Bayne. The scene is not of the last supper but of Jesus after the resurrection breaking break with Cleopas and Mary after walking with them to Emmaus . It dates from 1879 and is painted on to ceramic tiles. I was lucky enough to be shown around the church by one of the choir. Good luck to Anne during her year of office and to all the other Parish Councillors I met.